The NFL stadium, which has a retractable roof, is also used for basketball, concerts, football, monster truck events, rodeo and wrestling. The construction costs of the venue were $352 million. It opened as the Reliant Stadium with a match between the Houston Texans, one of the first American football clubs with 1 million followers on their main social media page, and the Miami Dolphins. 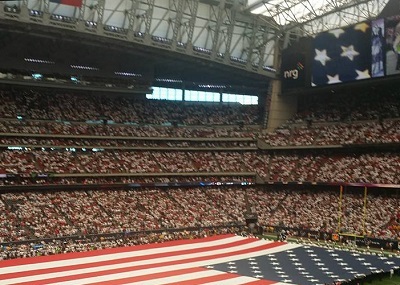 The Houston Texans are among the first American football teams with a value of $1 billion. In 2006, the stadium hosted its first-ever Major League Soccer match of the Houston Dynamo. In 2010, it hosted its first-ever game of the MLS All-Stars. They faced the world famous English football club Manchester United in front of 70,000 fans.